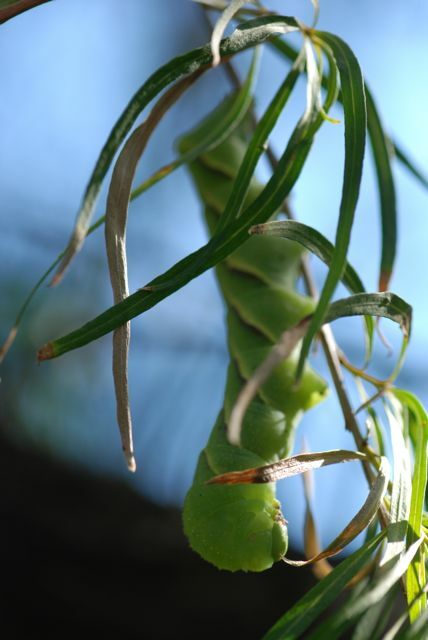 We spotted a large rustic sphinx caterpillar, Manduca rustica. Looking back, I posted about a similar one on October 31 in 2012. 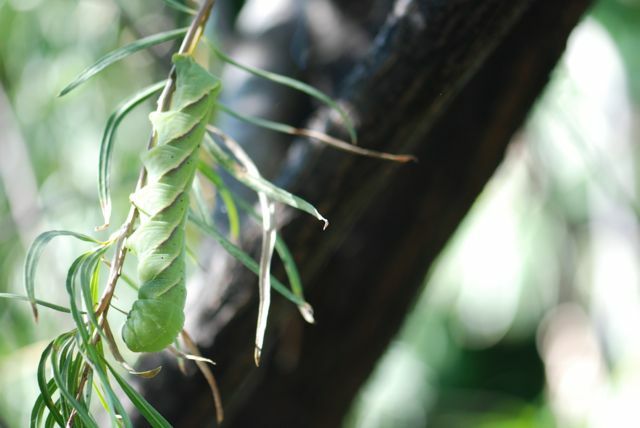 It is amazing how well the body stripes help camouflage the larva as it hangs amongst the tree leaves. We were surprised to discover something else related just a few feet away. An adult rustic sphinx drying its wings on the wall! 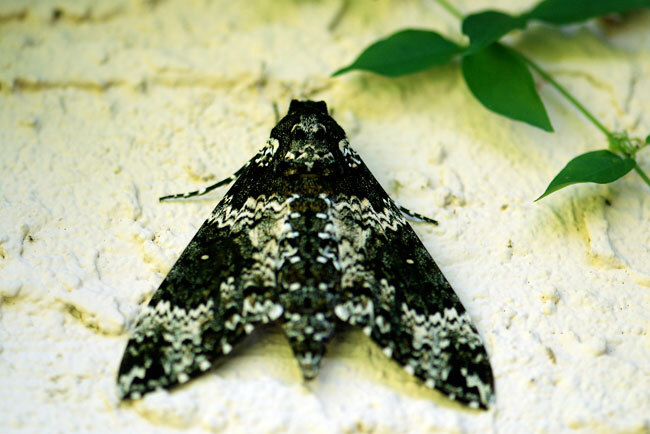 The adult's wing color helps camouflage it as well. Even on this light colored wall, the light and dark pattern helped hide it in the mottled shade of the nearby leaves. Have you ever discovered a rustic sphinx? Was it well camouflaged?